Closing Deals with Cox Automotive Digital Retailing - Cox Automotive Inc. 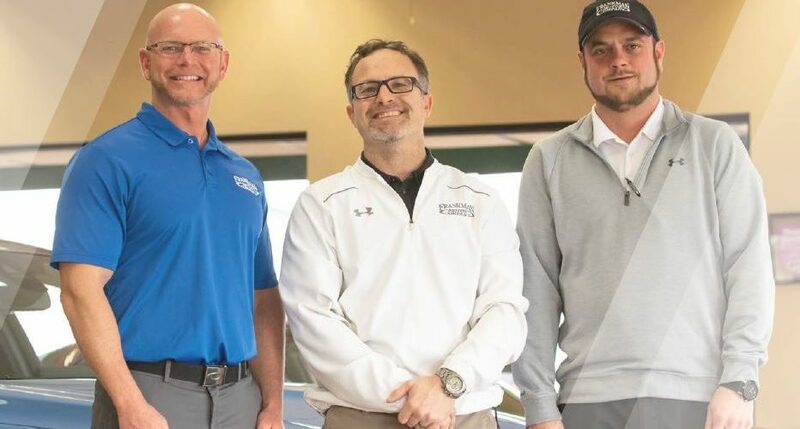 Founded in 1988 in Sioux Falls, South Dakota, family-owned Frankman Motor Company is now the largest independent used car dealership in a five-state area. It stocks approximately 250 vehicles at a time, in addition to over 90 classics from the 1920’s and beyond that ships to buyers across the globe – the majority who buy sight unseen. The experience with its classics department convinced management that as long as a car was merchandised correctly – with detailed VDPs, plenty of original photos, and real payment options – more customers would be open to completing some, or a majority of the purchase steps online. Ready to embrace a digital transformation, they sought a partner that could provide all the needed tools packaged in a customer-friendly way. Frankman Motors needed a partner to provide the key elements of a digital transaction – including the ability for shoppers to work out real payments, seek online financing, value their trade-in and look at protection options – in a way that was easy to implement, and easy for staff and customers alike to use. Already a VinSolutions Connect CRM, Dealer.com, and vAuto customer, the dealership wanted tools that could easily integrate with its other solutions. It was also important to have “live” financing rates in the payment tool so customers had confidence they could afford a vehicle before visiting the store. Today’s customers opt more and more to transact digitally, but they’ve been conditioned by Amazon and other big digital retailers to expect a convenient, smooth, and transparent process. 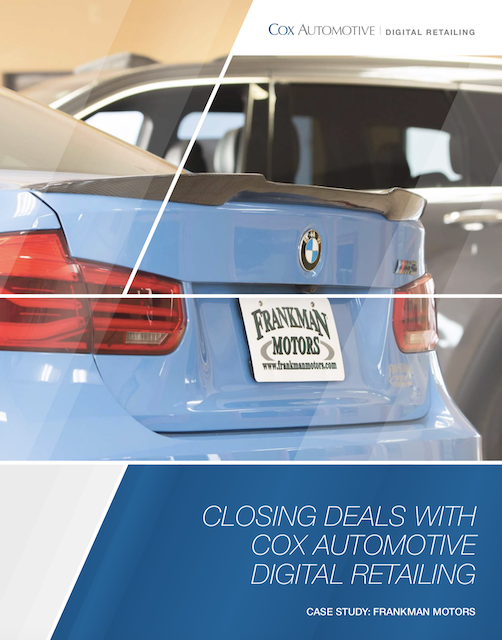 The Cox Automotive Digital Retailing solution helped Frankman Motors meet this expectation with a set of easy-to-follow steps that led the customer down the purchase path. The dealership cultivated trust with vAuto market pricing, detailed VDPs, custom photography, and a strict “no pressure” follow-up process. The Cox Automotive Digital Retailing solution worked as a virtual pencil tool so the dealership wasn’t just getting leads, it was getting customers who were ready to buy. The tools allowed customers to do the research and work their deal online, and come into the dealership with the mindset of finalizing the deal. Profit stayed high due to little or no price negotiation because the customer could check that the market-based price was fair. Thanks to easy integrations with Frankman Motor’s other operations and products, the lead process was smooth and efficient for staff and customers. The steps done online flowed into the dealership’s VinSolutions Connect CRM and were handed off to a salesperson with instructions to pick up where the customer left off. The salesperson walked around the car to learn all about it, then responded, using the same medium as the customer, to answer any questions and schedule an appointment. Since the information flowed seamlessly between systems, there was less data entry and room for error, and a faster and more efficient process for the customer. In July 2018, two months after implementing the digital retailing solution, Frankman Motors sold two-thirds of its inventory in just 10 days. That was its best month in five years. Management was so pleased with the results, and the easy integrations, it recently implemented the Dealertrack DMS and Dealertrack F&I solution to further enhance operations and better track online leads and sales.